Prodromou monastery dates probably to the 16th century and is considered the largest with over a dozen monks. Prodromou hangs from the rocks almost unnoticeably. It doubled as a hospital during the Greek War of Independence. 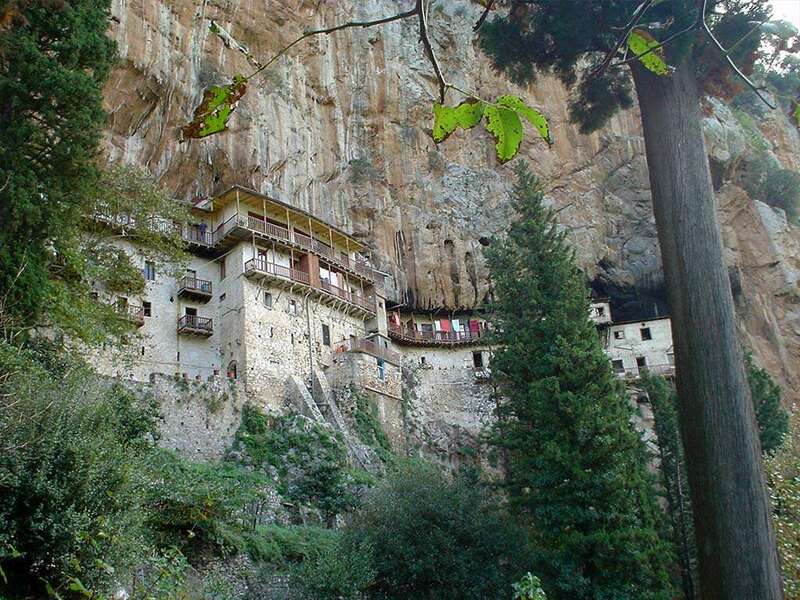 In English it would be known as the monastery of John the Baptist. 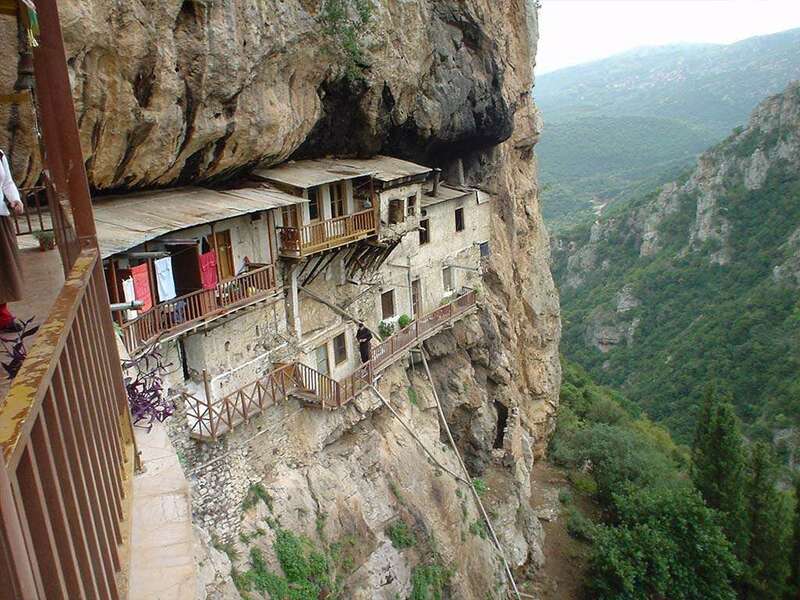 It lies near the historic village of Stemnitsa, Arcadia, and was rebuilt in 1973 over the remains of an old hermitage. 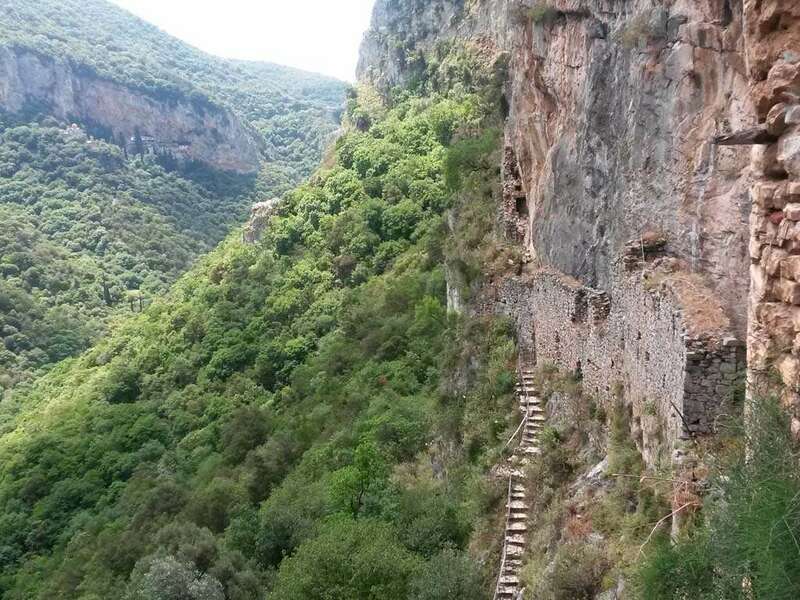 Visit this small unique monastery and enjoy the panoramic view of the gorge, the remains of ancient Gortyna and the traditional village of Atsicholos.